Z series - Efficiency made easy! 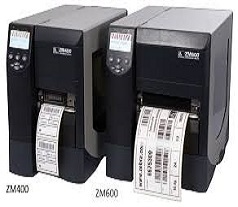 Zebra's Z Series industrial printer is upgradable with RFID for smart label encoding. Make warehouse or inventory management more efficient with Z Series printers. Z Series allows for high-speed, high-volume printing. The XML printing option allows for direct connection to ERP applications. Print invoices, receipts, labels and more up to 4 inches wide with durable mobile printers that meet IP54 dust and water resistance requirements. Increase efficiency with a barcode label printer boasting industry-leading throughput and rugged reliability for tough environments.